Take charge of your health! Cardiovascular disease is one of the most treatable and preventable of all illnesses. In this concise audiobook, you’ll discover the information you need to keep your heart healthy. 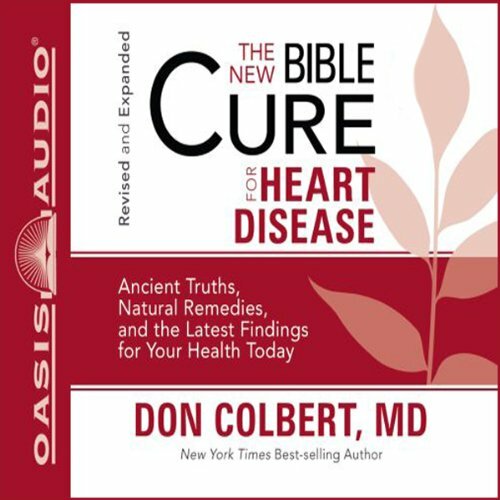 Incorporating the latest medical findings with the timeless wisdom of the Bible, The New Bible Cure for Heart Disease contains information that you may have never been told, including the hidden cause of heart disease (no, it’s NOT cholesterol! ), and Dr. Colbert’s top risk factors for heart disease—and how to beat them with nutrition. You want to be healthy. God wants you to be healthy. Now this highly anticipated revised and expanded edition from the Bible Cure series is available to help you get healthy—body, mind, and spirit.